Its strategic location was one of the prime reasons why successive dynasties chose it as their seat of power. New Delhi also reflects the legacy the British left behind . The division between New & Old Delhi is the distinction between the capitals of the British & the Moghuls respectively. So, wherever the visitor goes, he will invariably confront the citys’ past. After breakfast, half day city tour of Old Delhi. Visit Jama Masjid, the largest mosque in India. Built by Shah Jahan, the construction was started in 1844 and was not completed until 1658; Red Fort, which was also built by Shah Jehan. This massive fort was built from 1638 to 1648; Chandni Chowk and Rajghat - the cremation site of Mahatma Gandhi. Sightseeing of the old and modern capital of India. Afternoon, leave for Jaipur. 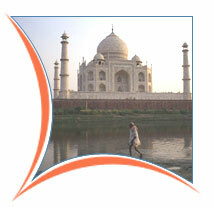 Arrive Jaipur and check in at prebooked hotel. After breakfast leave for Ranthambore. 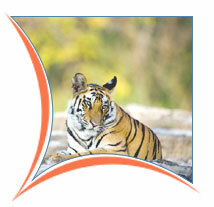 Arrive Ranthambore and check in at prebooked hotel. Afternoon, excursion tothe park in jeeps to view the wildlife. Morning and afternoon, excursion to the park in jeeps to view the wildlife. After breakfast, leave for Delhi. Arrive Delhi and checkin at prebooked hotel. Afternoon, city tour of New Delhi. Visit Humayuns Tomb : built in mid 16th century this is an early example of Mughal architecture; Qutab Minar, drive past India Gate, President House, Connaught Place. 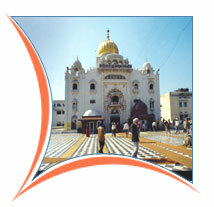 The city tour ends with a visit to Laxmi Narayan Temple.